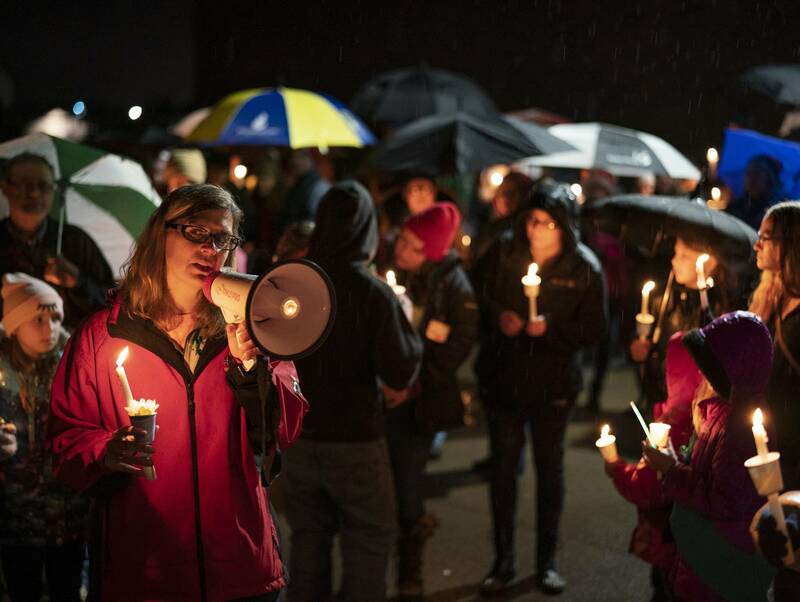 Hundreds of community members gathered outside an elementary school in Chippewa Falls, Wis., on Sunday night to remember three Girl Scouts and a parent who were killed in a hit-and-run crash over the weekend. 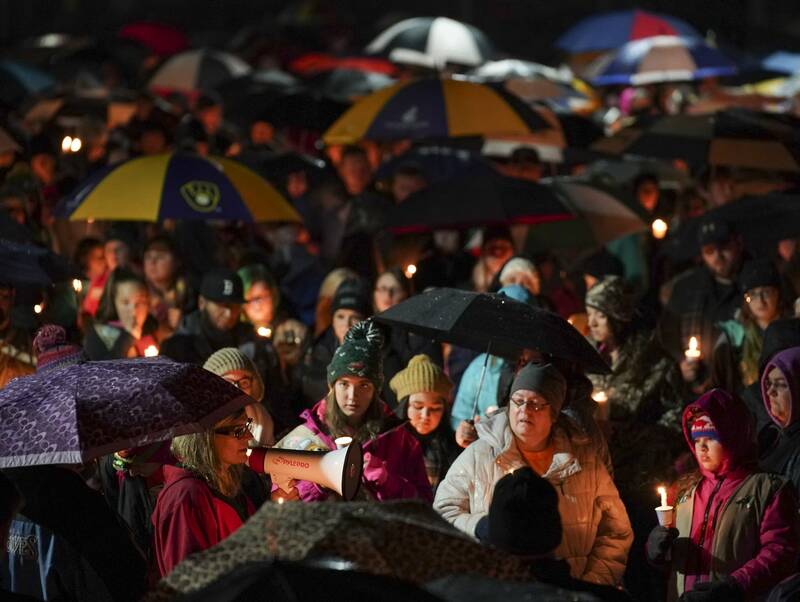 Holding candles and umbrellas, the crowd gathered Sunday evening outside Halmstad Elementary School. 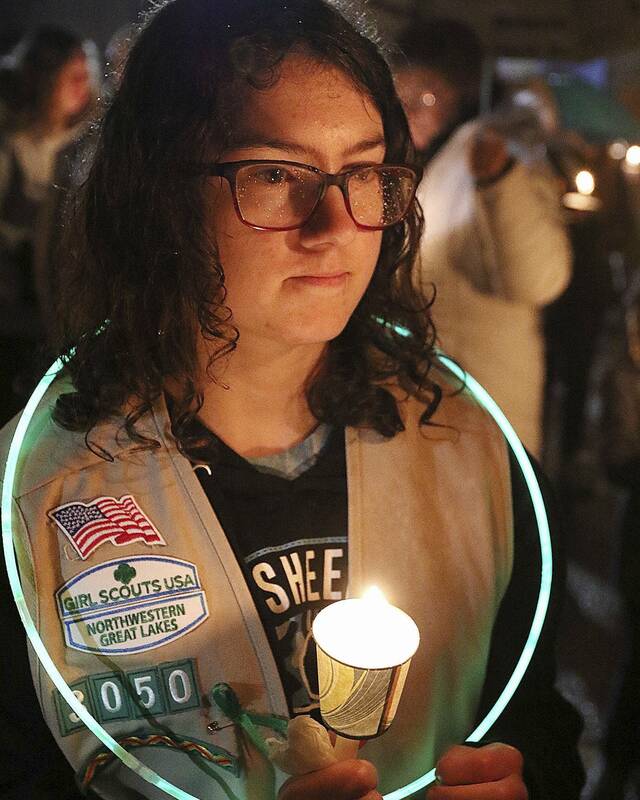 Several Girl Scouts sang songs in honor of the victims. Police say a pickup truck veered off the road into a ditch and struck them. One other girl who was hit survived and was in critical condition Saturday night. 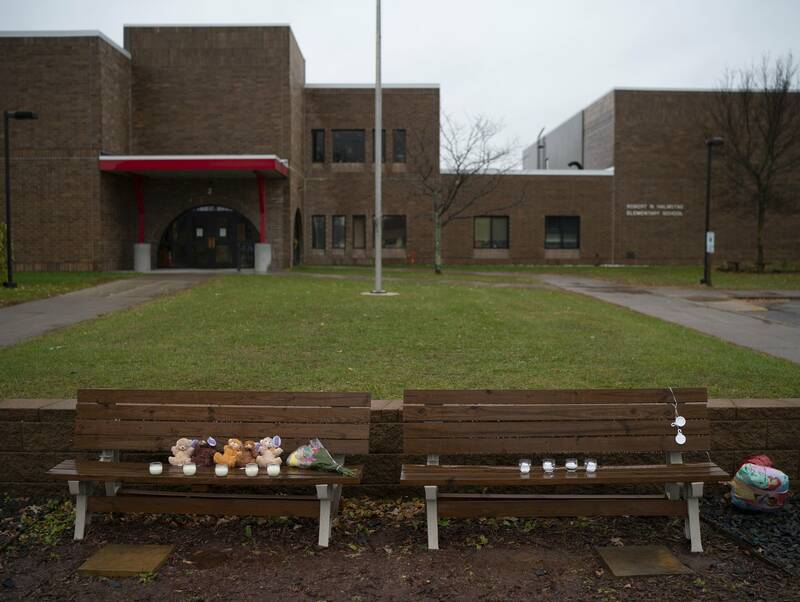 Chippewa Falls Area School District Superintendent Heidi Eliopoulos sent a message to parents saying counselors, faith leaders and trained school staff would be available Monday at the two elementary schools. They also were on site Sunday. The driver fled the scene after the crash Saturday, and officials issued a call for help in locating the suspect vehicle. A 21-year-old man from Chippewa Falls later turned himself in to authorities in connection with the crash, Lake Hallie police reported. Sgt. Daniel Sokup of the Lake Hallie Police Department told the Associated Press that the man will be charged with four counts of homicide through the negligent use of a vehicle. Sokup said the crash happened before a hill and there were no blind spots. "The area is not an unsafe area," he said. Sokup said it was not immediately known if there were other factors that might have led the driver to leave the road. 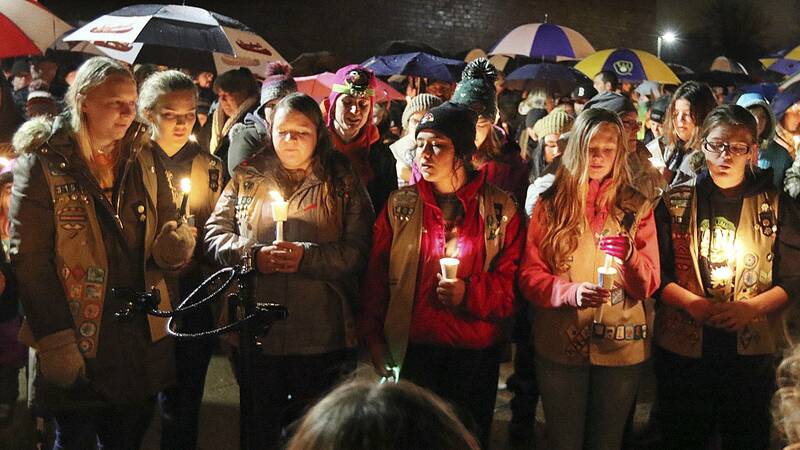 Authorities are set to release the names of the girls and the woman who died on Monday.